Jenny Seaton has been winning the hearts of Western Australian television audiences since the seventies where she commenced a career as a weather presenter on Channel Nine. On television, she has hosted a diverse range of programs including childrens' shows, live shows and womens' magazine style shows. She also presented the afternoon program on talk-back station 882 6PR for 7 years with co-host Gary Carvolth. Jenny is an experienced media professional and presenter in both radio and television, and can offer valuable training to anyone looking to make a start in the media. Jenny joined Channel Seven as host of the Late, Late Breakfast Show in 1983. This was followed by The Today Show, Good Morning Perth and subsequently Jenny Seaton Live. Jenny was voted Most Popular Personality in the national Logie Awards in 1971, 1976 and 1979. 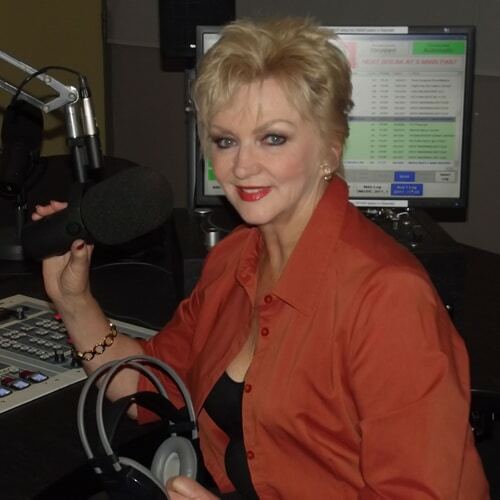 For seven years from 1996 to 2003 Jenny co-hosted Radio 6PR's very successful afternoon program with Gary Carvolth. Jenny returned to television behind the scenes in 2005 to manage Appealathon, before returning to an on-camera role as host of Postcards WA. Jenny is now the host of the Afternoon Show on CurtinFM. Available to do one-on-one training, or group sessions. "Jenn did a marvelous job as MC. She got across all of the important key messages and ensured our function ran smoothly and so importantly, on time! Excellent MC"
Lorraine Francis, Manager - Marketing and Communications, City of Belmont. "Very professional MC who was also very friendly and related well to our clients and audience Jenny did an excellent job as MC for our Melbourne Cup function"